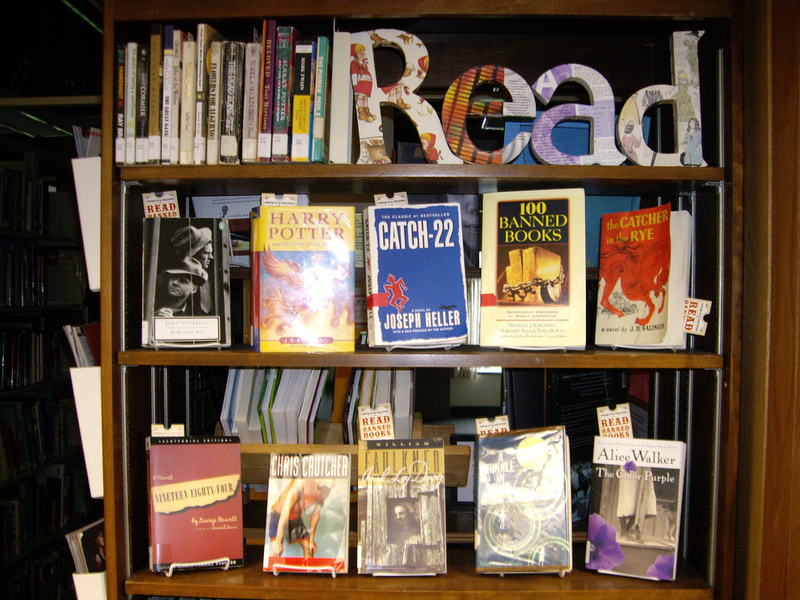 Searching through Flickr for something else, I came across this image of a display of banned books. Toddle on over to the image source to see it in larger sizes, and check out what's been included. (It has a Creative Commons license). 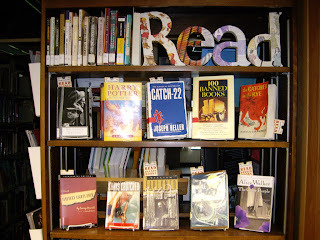 Click here to see more of this school librarian's displays. 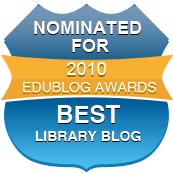 Click here for my recent GIFSL about displays of banned books. I am always amused when I see things like this, as the same librarians often censor their own collections (ie: books with gay themes).